Prime Minister Justin Trudeau will unveil Tuesday the federal government's plan for wayward provinces that do not comply with the national climate plan. That plan, brokered with most provinces roughly two years ago, includes a carbon tax on greenhouse gas emissions as part of a larger effort to tackle climate change. 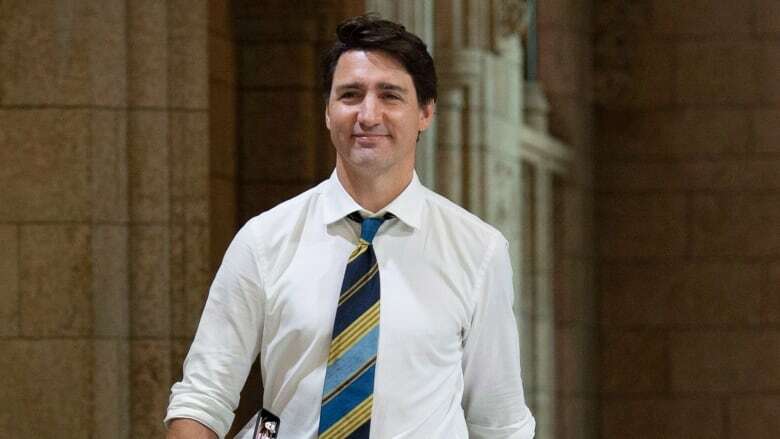 Trudeau has said the federal government will implement the carbon tax in provinces that do not have a tax of their own, or a cap-and-trade system. On Tuesday, Trudeau will reveal exactly how Ottawa will go about implementing the carbon tax — or, as the government prefers to describe it, a "price on pollution." A senior government source confirmed a national price will be imposed on Ontario, New Brunswick, Saskatchewan and Manitoba. Prince Edward Island is expected to see a "blended" program, with the federal backstop imposed on large emitters. Other provincial programs were assessed by Ottawa and were found to be adequate, said a source, speaking to the CBC's David Cochrane. So what was initially intended as a "backstop" in the event that a few provinces failed to design their own carbon pricing plans has now become the principal carbon pricing mechanism for nearly half of the country's population. Roughly 47 per cent of Canadians live in provinces that have said they will not follow through on the national climate framework. Trudeau has said that the tax will start at a minimum of $20 a tonne in 2019, rising by $10 each year to $50 a tonne by 2022. Trudeau has long insisted the plan will be revenue-neutral for the federal government, with any revenues collected by the system staying in the province or territory where they are generated. Liberal cabinet ministers are preparing to fan out across the country tomorrow to sell the climate plan to Canadians — and to try to reassure consumers it will add up to more money in their pockets, not less. Led by Trudeau and Environment Minister Catherine McKenna in Toronto, ministers also will be speaking in New Brunswick, Saskatchewan and Manitoba — provinces that aren't complying with Ottawa's plan. The ministers will confirm that it will take effect as of January 1, 2019. Ottawa plans to mail out rebate cheques to compensate people in provinces without a plan. The cheques are meant to offset some of the added cost the carbon tax will impose on goods like gasoline and natural gas. While former Saskatchewan premier Brad Wall was initially the lone provincial holdout on the carbon tax, his successor, Scott Moe, has been joined by Ontario Premier Doug Ford and Manitoba Premier Brian Pallister in opposing the plan.